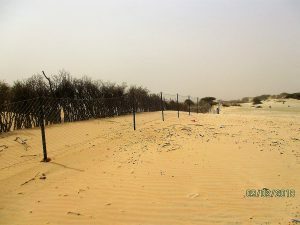 In Mauritania, the degradation of ecosystems is becoming more and more serious. This situation is mainly due to bad weather conditions and human actions. 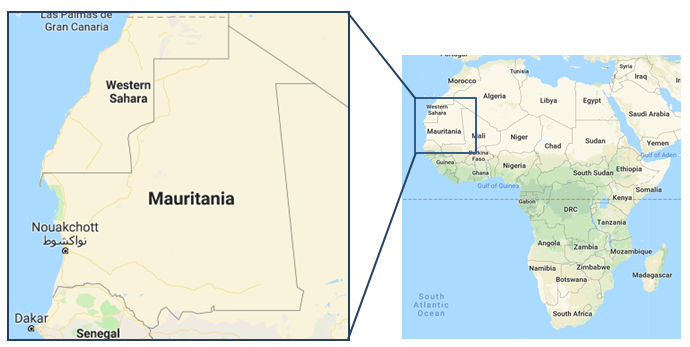 Mauritania is particularly vulnerable to climate-related impacts and risks. Climate is characterized by four seasons; a rainy season from June to September and summer from Match to May, Winter from October to Match and Spring the rest of year. ◆ overgrazing that exceeds load capacities. ◆ Water erosion which causes stripping and gulling. 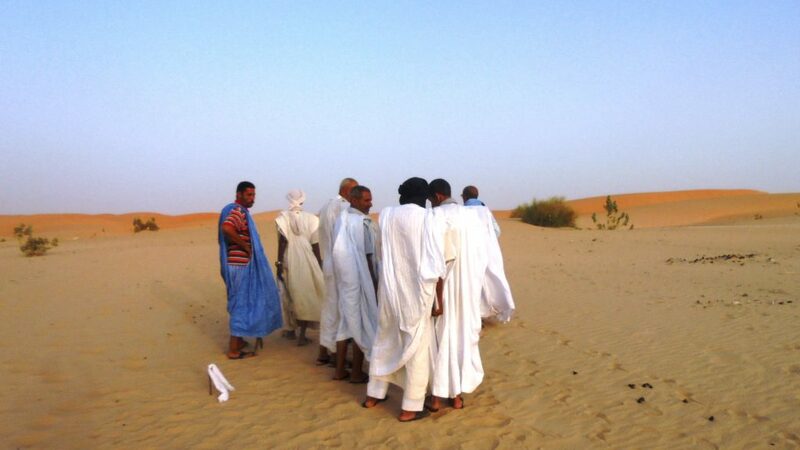 The fighting against Desertification is a responsibility to all of Mauritania people. 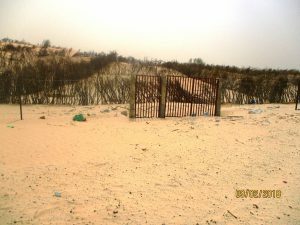 Mauritania suffers from the problem of desertification. However, Mauritania has two ways to adapt desertification: Mechanical and Biological. 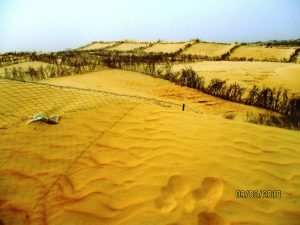 The initial phase in combating sand encroachment consists of halting or slowing the movement of sand by erecting fences 1 to 1.5 m high to cause a buildup of sand, leading to the formation of an artificial dune. The mechanical explanation for this process is that the fence slows down the flow of air, and this slowing down causes the air to release its load at this point. 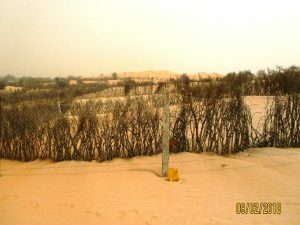 The fences may be woven (more expensive) or unwoven, and are usually made of branches and twigs from mature forest stands of suitable species, such as natural stands of Prosopis juliflora, Balanites aegyptiaca and various acacias, but also of palm fronds or Leptadenia pyrotechnica or euphorbia stalks.